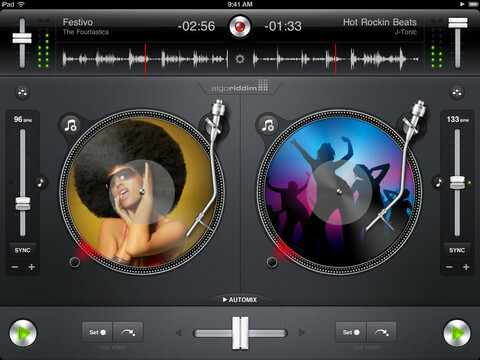 The “algoriddim” of the updated djay for iPad ($19.99), djay for iPhone ($.99) and djay – David Guetta Edition ($7.99) has changed and is ready to take advantage of iOS 5 and iCloud. Nice to see these apps already taking advantage of the iCloud integration, I’m sure we will see that more apps will catch up soon. Take a look at what kind of new features Algoriddim, the company behind djay, packed into this update, after the break. If you want some actual hardware instead of “spinning” your records on the display you can also check out the accessories available for the djay app. Also make sure to check out the Best apps for musicians part I and part II. algoriddim brings you a cutting-edge update of djay including the feature you have been waiting for: Audio FX! 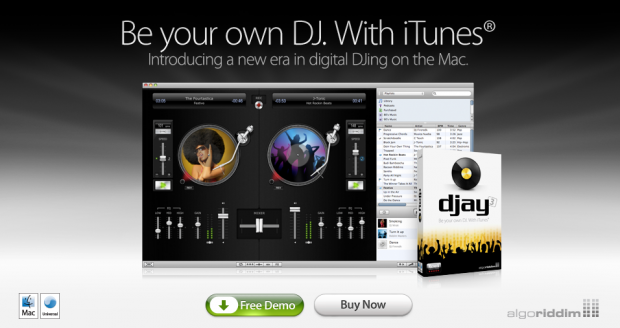 In addition, this version fully leverages iOS 5, giving you the best djay experience on your iPad. If you haven’t tried djay yet, check out it’s definitely worth a try. There’s also djay for Mac, which has a demo version available through Algoriddim’s site.